I got into cycling on the back of triathlon, which in turn I got into as a way of cross-training to reduce the amount of knee injuries I was getting as a runner. For me, cycling (and swimming) were great conditioning exercises for my body and I never feared getting wear and tear problems when doing these activities. Swimming fell by the wayside though, as I didn't have so much time to train for three sports, and to be honest when doing triathlon I was regularly last out of the water. 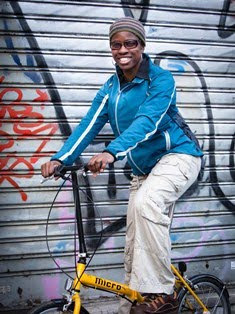 Concluding that I was happier on a bike than in the water, I continued my fitness journey on two wheels. So over the last fifteen years cycling has been my daily bread (plus a bit of running, which I have done since childhood). Sadly though, I have not stayed injury free during that time. Even cycling can cause injuries - and I don't mean concussion and broken collar bones from crashing! It's not uncommon to get wear and tear injuries such as tendinitis on the knees, illiotibial band syndrome (i.e. tightness down the side of the thighs). I have seen people take months out due to back and hip problems too. As I get older I realise that things can only go downhill - and not in a good way! I need to stop the rot! So, when Bloomsbury sent me this book to review I was quite interested. 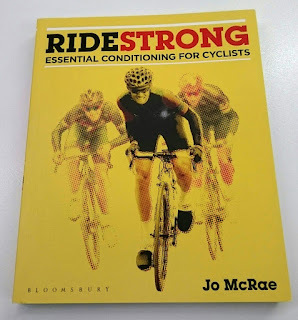 Ridestrong by local cycle racer, Jo McRae is about body conditioning, something I am really interested in reading about. I say read, it's not actually a book that you read. It's much more practical than that! There's a good introduction on what body conditioning is, and how it can benefit cyclists. Then the book is split into sections dealing in turn each with: Stretches, Strength, Core work, and Cross Training sports of benefit. You have lots of photos of how to do the exercises, as well as ready reference pictures for each of the chapters. Finally, the closing chapters of the book talk about about periodisation of your body conditioning programme. This book is not designed to be read cover to cover, but more about focusing on the aspect that is of most relevance to you. It's also something that you can dip into, particularly if you need a reminder of how to do the different exercises. I am very glad to see a book like this, particularly as I really need to think more about injury prevention. Sure, I've done things like pilates classes and yoga too. But there's something quite reassuring about getting advice from a fellow cyclist, so can identify with the biomechanical issues we can have. 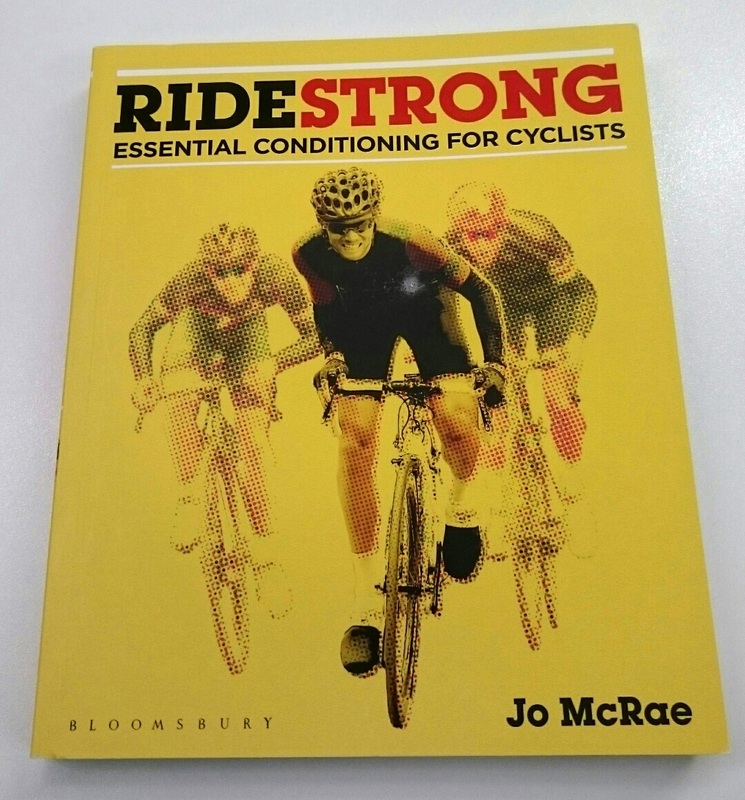 Jo has been a coach and exercise specialist for many years and has been a cycle racer since her teens, so anything she doesn't know about cycle fitness and conditioning isn't worth knowing! I have been following the exercises in the book and will let you know how I am getting on.